Sooooo ... 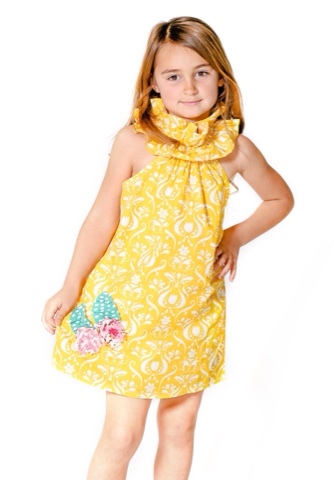 I am addicted to Zulily. I bought three cute items there recently and just had to share! Through June 26th they are offering free shipping which is a GREAT deal. I have never worn ballcaps as much as I have this past year! Daycare drop-offs are a lot easier when I can just throw on a baseball cap, some yoga pants and a tee. 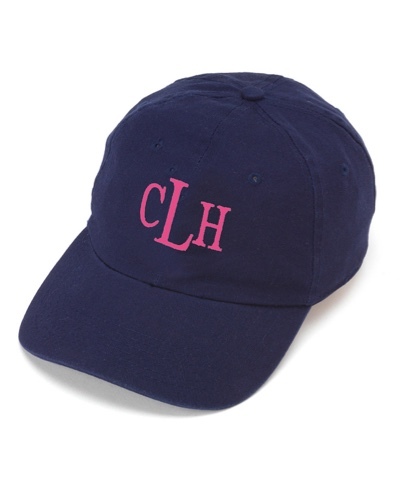 I loved the look of this navy cap with a pink monogram. This just shipped to me yesterday and I can't wait to receive it. Kate Quinn Organics is one of my very favorite kids' lines. I loved this little sunshiney yellow and white damask jumper and ordered it in size 12-18 months so she can get lots of wear out of it this summer. 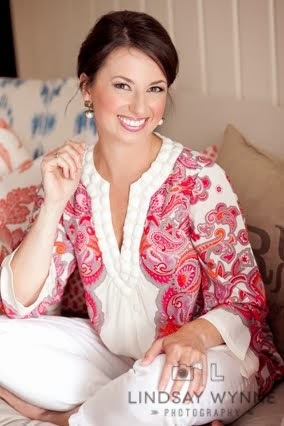 And when it gets chillier in the fall, it will look so cute layered over a white tee or blouse. 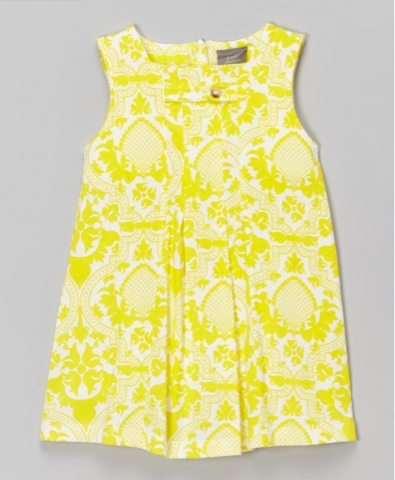 Now that it's apparent that I have a thing for yellow and white damask ... (ahem). I just couldn't resist this sweet Jelly The Pug dress with that ruffled collar. I picked up this dress in size 24 months and it was on major sale for $9.99! 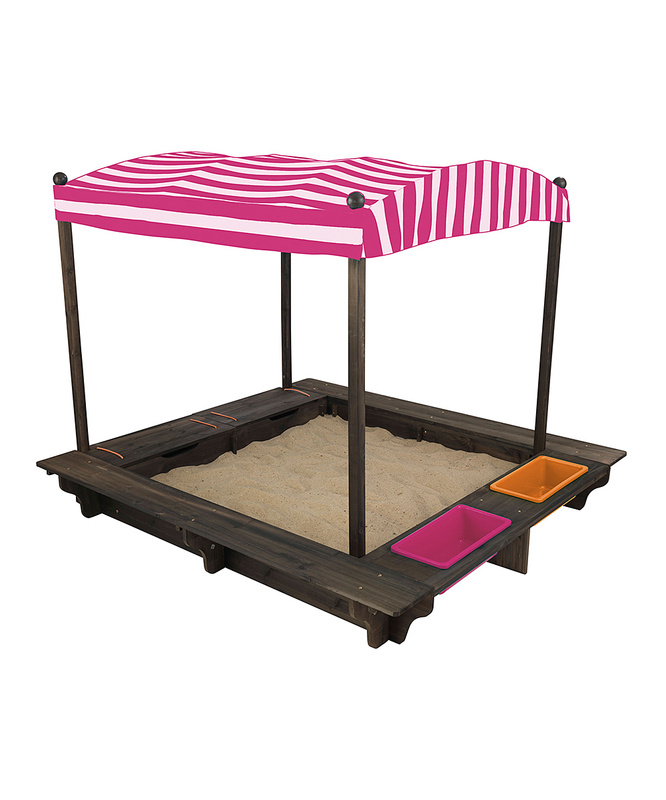 And today I have my eye on this adorable sandbox -- oh my goodness! Zulily is an invitation-based shopping site, and if you need one, click here. I love browsing the site on my iPad using their app! And free shipping now -- that's the best way to shop. Happy browsing! That ruffle dress is darling! I mean I kind of want it in my size (probably can't rock the applique :)) Great sandbox option with the shade cover! I want Camille's dresses in my size! So cute!! that sandbox is so cute! love that hat! Aww I love those dresses! & That ballcap is cute! I have a similar one & love it! It's salmon colored w/ navy blue thread! Clearly she needs that sandbox!!! I just found your blog from a link-up :) I love Zulilly too, I just recently bought some fun under armour workout tops. Have a great day!